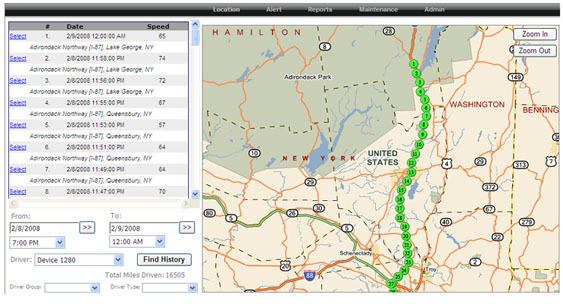 Fleet safety monitoring is one of the most effective ways to improve your fleet's safety record. If you have a high-risk driver we can identify him before an accident occurs. No fleet is too large or too small for us. Data generated from your vehicle fleet is mined, analyzed, and delivered to you in customized reporting formats that allow you to easily operationalize the information into your day to day management of your organization. "cellcontrol stops texting while driving. cellcontrol removes the temptation for your employees or young driver to use a cell phone, smart phone or mobile device and encourages them to concentrate on the task at hand driving. 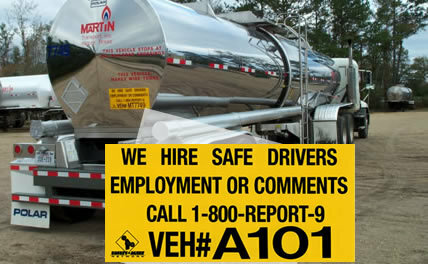 Get exclusive access to driver leads 24x7 with Safety Alert's Driver Recruitment Program. 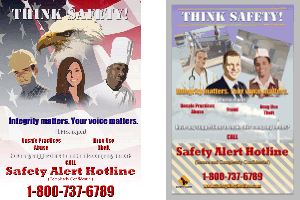 You put your customized decal on your vehicle and Safety Alert takes all job inquiries from potential drivers 24x7. Empower your employees to make your business the best it can be. Employee fraud, theft, drug use, and abuse are concerns of all organizations. Registration is FREE and first five reports are FREE!